The School of Design at Louisiana Tech University is pleased to announce the opening reception for new solo exhibitions in the Bethea and Moffett Galleries. 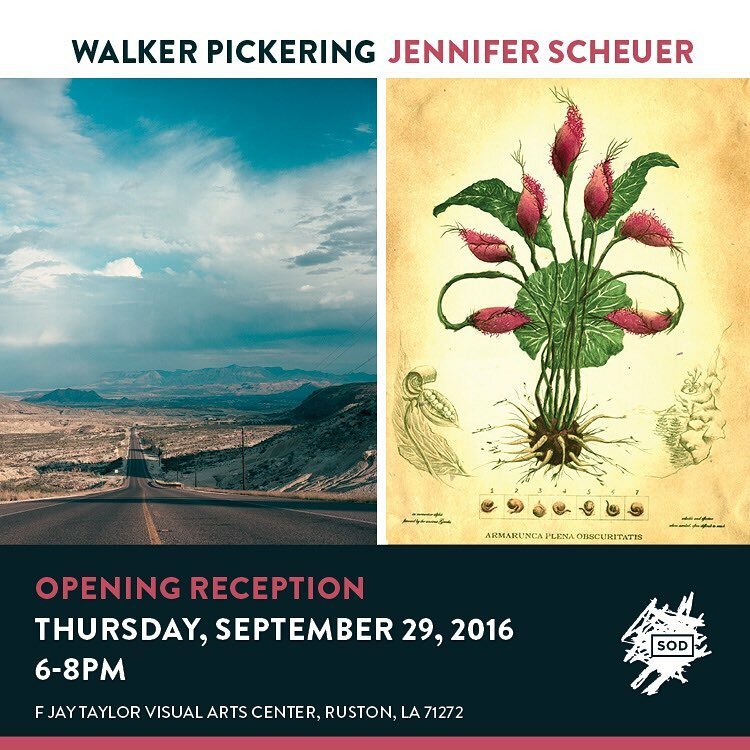 Nearly West and Southern Kingdom, photographs by Walker Pickering, as well as Seeing and Healing, prints and installation by Jennifer Scheuer will be on view in the TVAC galleries from September 29th through October 18th. Gallery hours: M-F 9-4pm. Galleries are open for extended hours during reception times. All are welcome. Events are free and open to the public. Reception food generously provided by Ponchatoulas Restaurant, Ruston, LA.